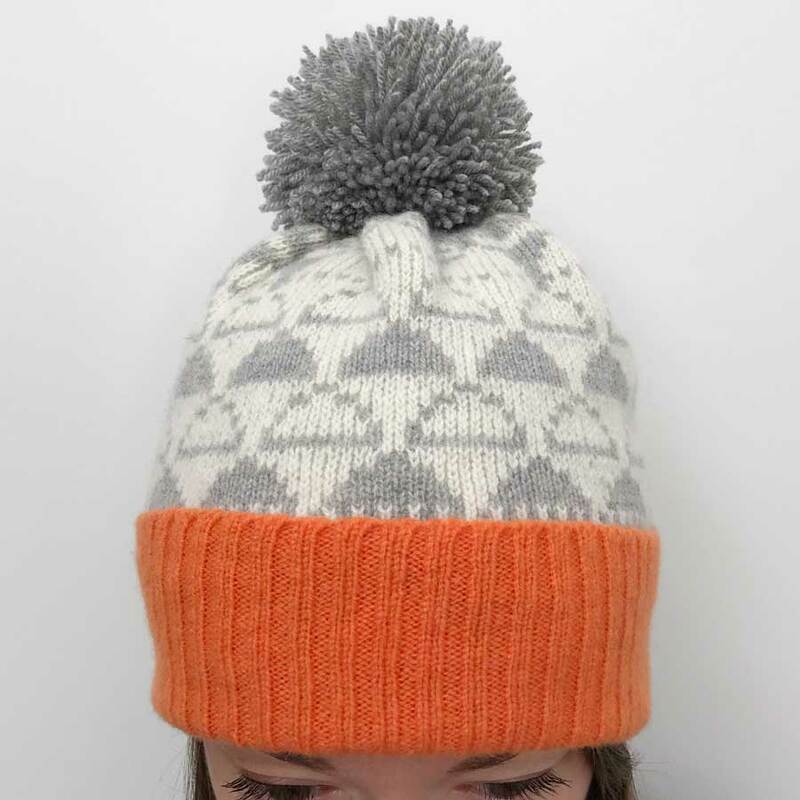 This knitted bobble hat is made from British spun 100% Lambswool with a light fluffy acrylic bobble by artisan designer-maker Kate Sayer of Little Knitted Stars. 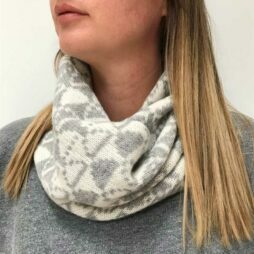 Kate knits the double jersey fabric on one of her 1980s domestic machines, hand manipulating the stitches to create the ribbed trim and the shaping. 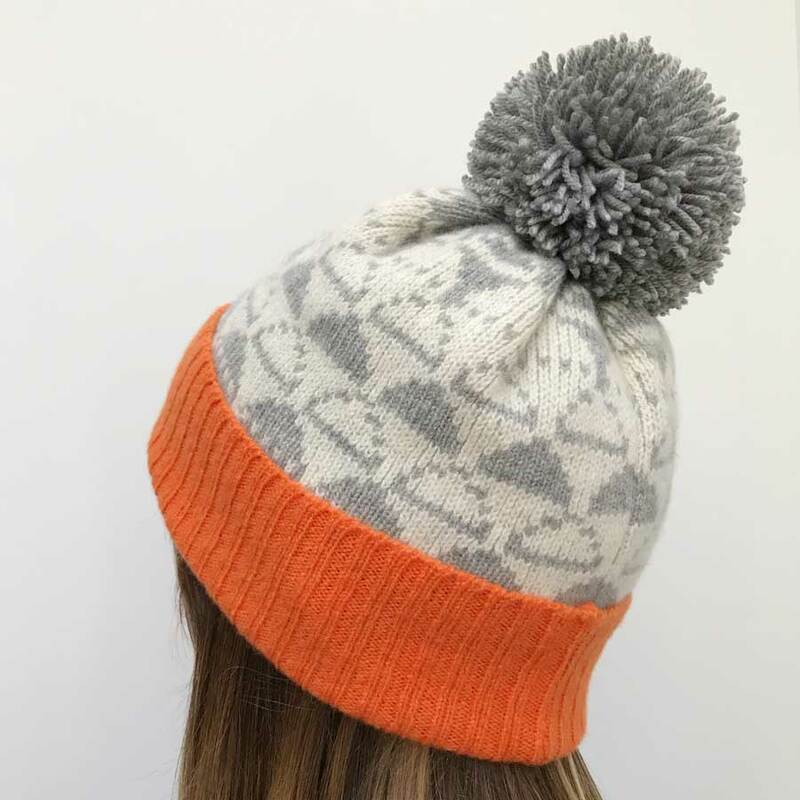 Double jersey fabric is thick therefore very warm, and this light grey and ecru hat with an orange trim and grey bobble is created with a retro-style cloud patterned outside and a plain inside. 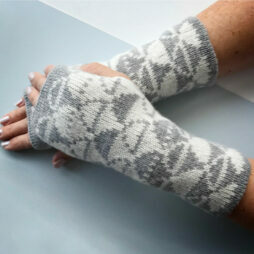 The high quality Lambswool yarn is luxuriously soft and warm. 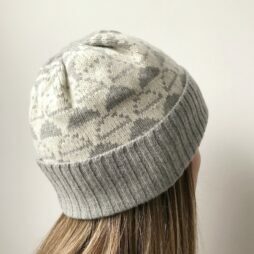 A turn back ribbed brim gives extra warmth around the forehead and ears to keep you toasty! 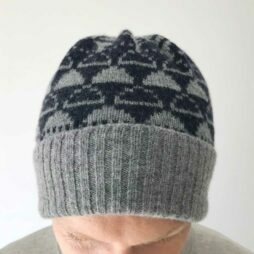 Dimensions: The hat comes in one size and due to the stretch in the fabric will comfortably fit a standard adult head (55-58cm circumference).